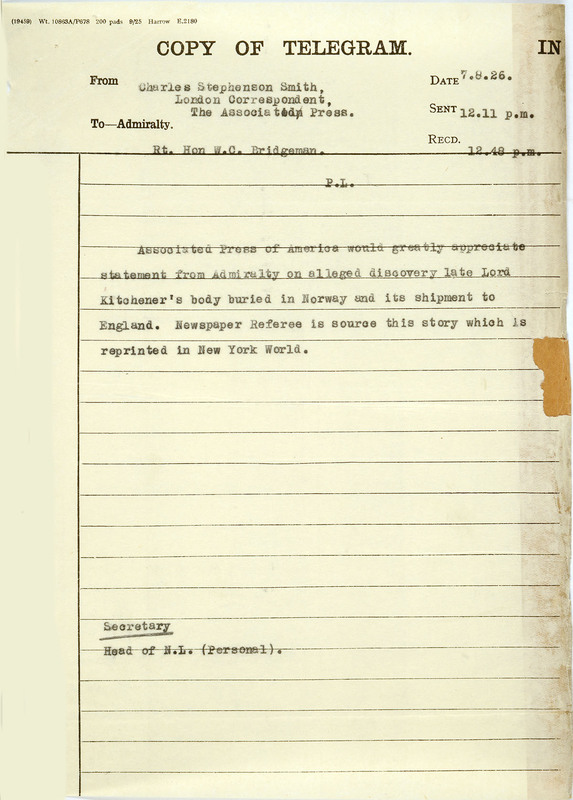 Copy of telegram, dated 1926, about the alleged discovery of Lord Kitchener’s body which was never found after the sinking of the HMS Hampshire in 1916. The last letter from Jack the Ripper, thousands of UFO reports and hoax claims of finding Lord Kitchener’s body are examples of the many famous mysteries contained within the archives which are open for you to explore. Listen and watch ‘Mysteries’ on our Media Player website. Read articles about ‘Mysteries’ on our blog.